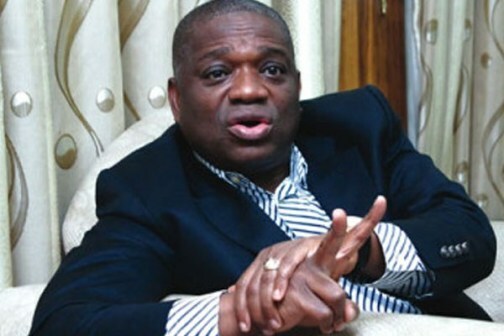 As intrigues and counter-intrigues continue amongst members of the National Assembly over the sharing of positions in the coming 9th Assembly, the Senator-elect for Abia North Senatorial District, Orji Uzor Kalu on Wednesday declared that he would vie for the Senate President should the All Progressives Congress (APC) does not zone the deputy Senate President seat to South-East zone. Kalu said the federal government cannot afford to edge out the South Eastern part of the country out of the distribution of positions in the Nigeria anymore. Kalu while speaking with some journalists at the Murtala Muhammed Airport, Lagos yesterday insisted that, since the position of the Senate President (SP) had been allocated to the North West, the South East cannot settle for less than the Deputy Senate President (DSP) position. 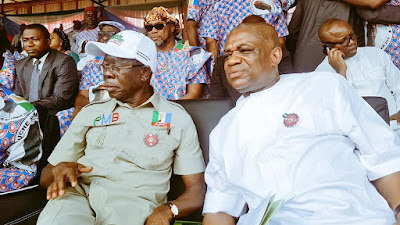 According to Kalu, as a Senator representing a zone from South East, nothing will stop him from running for the position of the deputy senate president openly on the floor of the Senate. “I want to respect the party’s wish on the Senate Presidency and the second position is what we are not going to allow to leave the South East. So as far as am concerned, in the South East, I am going to run openly on the floor of the Senate as Deputy Senate President. I am not going to listen to anybody. Nobody who is going to be the Deputy Senate President is more loyal than I am to the party. “I am not a tribalist, but someone who is fair. I want justice. If the party doesn’t want a crack, they should zone it properly through the geopolitical zones of the country. A man who has taken the presidency is not supposed to take the Deputy Senate President..."